Print Magazines Are NOT Going the Way Vinyl Went… and That’s Why. Comparing magazines with music is like comparing a kite to the wind that carries it across the sky. The kite is tangible, and watching it brings its own kind of joy to the experience; the wind is gossamer with no visual substance, yet as real an experience as your hair lifted off your neck on a hot day. It doesn’t matter to you how you receive that breeze when your skin is hot and sticky. It can be from an opened window in your kitchen, to the sun roof in your car; the end result you anticipate is the same…to cool off from that sweet breeze. The kite floats back down to you when you’re finished running across the field with it, the diamond shape bright with spring colors and virtually alive from its race across the blue sky, plastic still popping and breathing from the exertion. It’s substantial and real…you can touch and feel its presence. It’s the same thing with magazines and music. When people compare the two by saying something like, “Magazines are going the way of vinyl,” the observation is moot. First of all, vintage is back and trending like crazy in today’s world. 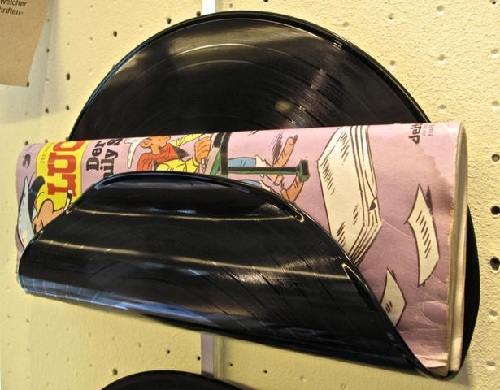 And second, magazines haven’t gone anywhere, unlike vinyl records; check out your newsstands, they’re robust and healthy. But the mootness of the observation is this: music has always been like the wind, ethereal and invisible to the eye. Your favorite song flowing out of your car radio or your iPod is an active participant in the joyful experience you are receiving, but it’s not a tactile presence that you can hold in your hand. It’s the sound of the melody romancing your ears that gives you that bliss. And to you, at that moment in time, you could care less whether you hear it from a radio, an iPod, a CD, or a twelve piece orchestra for that matter. You just want to hear your song. But the experience of holding a printed magazine and reading from it is a very real occurrence. The pages are slick and smooth to your touch. The contents are what you selected, your choice of material. It’s an intimate and personal experience, devoid of any of the interruptions of pop-up ads or infinite internet eyes taking note of every click of your mouse. The advertising and editorial content live in harmony next to each other, complementing rather than annoying and fighting over your attention. Ads flow naturally and in a very logical and systematic way, so that skipping them seems almost sacrilegious to the experience. Music, on the other hand, is all about the tunes, the musicians, the band and not the vinyl, the tape recorder or even the iPod. And while many people fall in love with the artist or group of their favorite song, and revel in a fantasy world created by some mystical connection with the singer, the odds of anyone falling in love with the editor or publisher of a magazine are pretty much slim to none; at least, not without a little one-on-one wining and dining first. So to shackle magazines and music together in some comparison of antiquity is not only unfounded, but also ridiculous. Vinyl records did take a backseat to other platforms, such as 8-tracks, cassette tapes, CDs and ultimately, digital apparatus, but magazines haven’t been replaced by anything. They have grown new branches, with their digital counterparts, but no one has replaced the tangible experience of holding a magazine. Not even the iPad. These accoutrements only enhance the print experience, they don’t replace them. Digital is a new media; it’s here, it’s not going anywhere and we all enjoy its amenities. But it doesn’t replace the print experience. And it isn’t trying to. Digital isn’t killing print, publishers are. Instead of forcing the death of print down our customers’ throats, why don’t we give them what they really want and encourage both? There was some controversy recently with Beyonce when it was reported that she may have been lip-syncing when she sang the Star Spangled Banner at the inauguration of President Obama, the real-live experience versus the virtual one, minus any imperfections. This matters to the topic only as a reference as to how real and virtual can go hand-in-hand; how one can use the digital to enhance the physical. It’s a perfect union, really. Union being the operative word. There are times the physical, the tangible is what you want and need. Other moments, the virtual realms answer the call. But isn’t it nice to have both? P.S. : The above column first appeared on CommPRO.biz website Jan. 27, 2013. Bob, Samir, as he often does to me, strikes a chord. Can’t he come up with some successful converts to only digital to shine a light on the way forward? Too easy to find the failures. He writes as if to say if you convert to digital only you are doomed. I realize that he is not saying that, but that is an impression I am left with. It’s as if he is saying, “if you are not a success in print, you cannot be a success in only digital”. Of course that is ludicrous seeing how many web sans print media outlets there are. I agree that a print product may not sell as many subs or single copies as a tablet version as they did in print, but that may not be the goal of the media company. Further, undeniably it took the print version a number of years to get to it’s current rate base and not immediately out of the gate. I agree that from the conversion of print to an only digital product, if management loses its sense of purpose, the digital product will fail, but it’s not because it’s an “only digital” product, it’s because management did not make a compelling product taking full advantage of the technology available and were not good marketers getting the PR out. Hell YES. But Samir seems to think it must flourish at the same rate base as its predecessor. That is not a requirement for financial success. The smart entrepreneurial great communicator technologist can convert most any print brand into a going business as a only digital product. But I predict the pendulum will swing back on even the best of these folk and they will find print to be an avenue for communicating the digital brand. Just me in the peanut gallery. So, what do you think and do you have any success stories of print magazines that left print behind and are now thriving in the digital heaven? Please do not hesitate to comment, be specific and give me examples. Thank you. Mr. Magazine™ Musings: All Good Print Magazines Go to Digital Heaven… Or Do They? When a publication decides its earthly existence as a print life form is no longer a viable option and instead takes on a digital-only presence, is it really a heaven-sent opportunity or is it actually a gentle nudge by the minions of magazine hell to push it into its final resting place? If your print product isn’t connecting with an audience, is it really going to flourish among a billion more nondescript URLs or a million other apps? Think about it, please. And take a look at a few lost souls while you’re at it. The only presence that remains of Teenpeople.com today is at the home of the magazine’s parents: PeopleMagazine.com. Apparently, when living on its own didn’t quite pan out, mommy and daddy allowed their child to come home. Too bad some of the other print magazines that went digital-only didn’t have parents quite so affluent. Going digital-only screams salvation to some print products that are battling low ad pages and declining circulation, but the question remains: If you’re not selling ads in your ink-on-paper magazine, what in the world makes you think you’re going to make gazillions of dollars on the web? Even with automated ad sales systems, consumer magazine sites aren’t garnering all that much from their digital counterparts. Gourmet in print became another headstone in the “Ink-on-Paper Cemetery,” when Condè Nast killed it in 2009. Just the previous year, Gourmet had had a circulation of around one million, but its ad pages had dropped. And the magazine wasn’t doing as well as its sister magazine, Bon Appétit, which was also owned by Condè Nast. But it would soon be reborn as an app for iPad called Gourmet Live. Gourmet Live is officially done, as far as any new content is concerned. According to a spokesperson for Condè Nast, the app itself will remain intact, but it won’t be updated. However, Gourmet.com will continue to be updated as the main platform of the brand. American Media, Inc. (AMI), a leading publisher of celebrity magazines, announced the launch of Reality Weekly, the first magazine devoted only to Reality TV shows and its new mega-stars. Included in the hype around this blockbuster idea was the companion website for folks who just couldn’t get enough of the inside info that must surely abound on television shows such as these. The launch was fan-fared with the fact that the magazine would sell at all the mass merchant locations: Wal-Mart, Kroger, Dollar General, Kmart, A&P and Rite-Aid and would be priced a mere $1.79 (“Less Money, More Fun”). Really. “I’m proud to introduce a magazine that gives readers the news they want about television’s most popular genre. Print remains one of our most effective mediums, which is why Reality Weekly will be a showcase launch of 2012,” said David J. Pecker, AMI’s Chairman, President and CEO, at the time. Before 2012 was over, the magazine folded. The website hasn’t been updated since July 2012. However, that same month AMI folded the magazine, it announced that it was naming Joe Bilman as its first chief digital officer and set the lofty goal (at the time Mr. Bilman was hired) of building its digital revenue to $50 million. Accordingly, AMI resolved to try Reality Weekly as a free tablet app that summer. The magazines mentioned here are not the only ones. What about Elle Girl, Cosmo Girl? Digital brands such as PC Mag and Sporting News, while still breathing that oh-so thin digital air, are mere shadows of their former print selves. When you lose contact with the people who matter, your customers, and treat them as numbers instead of members of this community of experiences you have created for them, you’re going to lose them, whether the neighborhood is print or digital. As the New York Times put it so eloquently: From the start, it was an unwieldy melding of two newsrooms: a legacy print magazine, Newsweek, combined with an irreverent digital news site, The Daily Beast. Now the 79-year-old, once highly-respected news magazine must co-exist next to an entity called “The Daily Beast,” its new significant other. The sacred vow that some publications make with their new life partner, digital, is usually a last-ditch effort to save a customer and product bond that was broken many times earlier. When you have a brand so highly known in print and you suddenly jerk that trusted and cherished product out from under your customers’ feet, why do you bemoan your fate when, one day, you have to take that digital shingle down for good? Right now, Newsweek is looking for digital heaven, as others are. Let’s just hope the abyss that lies before them doesn’t lead to purgatory instead. At the end of the day if we don’t create a community where we make our customers feel like members instead of just numbers after a dollar sign, we won’t have anything to publish in print or digital—no long-lasting relationship, anyway, merely a one-night stand. The minute you lose your connectivity with your customers (readers, users, viewers, listeners, whatever you call them), you’re in trouble. And if you fail to connect with them time and time again, even going to that digital heaven online can’t save you. Cut your losses, let your magazine die in peace and don’t torture it anymore. Stop being in the game of numbers and change to a game of members instead. 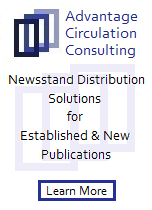 Author’s Note: This column appeared on the Folio magazine blog on Jan. 22, 2013.
to sell direct to customers via a one check-out process…” so starts the press release announcing this new e-commerce venture using digital to sell print. Intrigued by the concept of both using digital to sell print and the idea of a “print revival” led to this Mr. Magazine™ Interview with Deborah Causton, the founder and creator of Anikibo. Anikibo’s Facebook page, all magazines sold on Anikibo are selected for producing products which are deemed to be unique, clever, beautiful, and creative and have an absolute passion for paper! Have you ever heard anything more beautiful? Anikibo’s creator, Deborah Causton, believes there is a resurgence emerging with the printed product (of which, I agree…if I ever thought there was an extinction on the horizon for print at all), but the fact remains, the naysayers out there certainly did. Maybe the birth of Anikibo will once and for all show the killjoys of print what most of us have known all along: While you’re scrolling and squinting, the rest of the world is enjoying turning pages…ink on paper pages! So, sit back and enjoy my recent interview with a delightful lady who is using digital to support print in a unique and innovative way! On plans to promote Anikibo and the story behind the name: Someone told me once when launching a website that a 20/80 rule applied: 20% website / 80% marketing. As for the name, it came from a nightclub in Luxembourg, where I used to live. On whether or not there is going to be a print product, or just a digital platform to sell print: There are so many technological avenues to be explored – this will be my primary focus. As to whether I’ll actually print something from it, maybe eventually, but probably a magazine! And now here is the Mr. Magazine™ Interview; in typical Mr. Magazine™ Interview lightly edited style, with Deborah Causton of Anikibo. Samir Husni: You used the phrase “print revival” in your press release, how would you define the meaning of this phrase? Deborah Causton: Ultimately, I guess it would just be nice to see the print industry bathed in positive headlines again. It’s a digital age for sure, but like you said “…it took 500 years to build up this tradition. You don’t just throw up the white flag and say, ‘OK, everything is digital now.’ ” I own the digital suite: smart phone, tablet, laptop, smart TV – but they’re all just practical objects that basically facilitate the delivery of digital content. I don’t really treasure them or the content on them; I replace them with the next model, watch the next episode, read the next item. We all got excited by the new stuff, but we don’t love it in the same way. That’s why we’re seeing resurgence in the popularity of vinyl. There’s a strong sense of nostalgia from the emotional connection we got from physical objects like magazines, records, books and zines, especially those that represent a passion – we won’t let that go so easily. In my opinion, this is the driving force behind the coming print revival. Unfortunately, I don’t think vinyl will manage to avoid becoming obsolete, mostly because of the cumbersome technology required to play vinyl records. Magazines don’t face this limitation. They can and have embraced the technologies available to them. We still have plenty of time before somebody pulls the plug on the production of paper. Samir Husni: What are your plans to promote Anikibo (and what is the story behind the name)? Deborah Causton: Someone told me once when launching a website that a 20/80 rule applied: 20% website / 80% marketing. Working almost completely independently, I’m sure I will face some challenges in the promotion – a lot of trial and error no doubt. The formulation of this project began as far back as 2007, but the timing feels right now somehow. I just have to protect my investment and announce to as many people as I can reach, leveraging myself from the positive reactions I receive. I’m of course greatly thankful to the magazines and zines that have decided to stock thus far. It’s very encouraging to get this support having come somewhat out of nowhere. As for the name, it came from a nightclub in Luxembourg, where I used to live. It was called Anikibobo, but I learned that “bobo” means silly or stupid in Portuguese so I opted to drop the second “bo”. Deborah Causton: I’ve been somewhat of a transient person. I’m British, but only by birth. I’ve found many other places that have become home. Currently Berlin is that place. My ambition for Anikibo was that it would always be an international platform. It is in some ways a selfish development since I wanted easier access to magazines and zines I’d find when travelling, but never had the space in my suitcase to bring back with me. 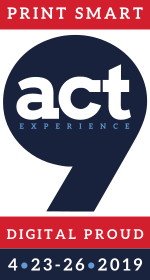 The only reason for incorporating the business in the UK is the ease with which it can be done. Samir Husni: Is it passion that drives you or a business plan? Deborah Causton: I’m not sure if I should admit publicly that I don’t actually have a business plan per se, but then it looks like I just did! Ideas on the other hand – ten to the dozen! My initial plan for an online marketplace goes back as far as 2001. I’d traipse up to Portobello Market in London with a friend who was selling handmade bags and scarfs. We’d be standing there at 3am on a Sunday morning queuing for a good stall, freezing cold, with a questionable cup of coffee in hand. It occurred to me then that the internet would be the perfect place for all these independent designers to get together and sell their stuff. I should have got my act together then: 4 years later Etsy was launched. Luckily, there are plenty of independent niches that haven’t been organized yet. I’ve been toying with this current incarnation of Anikibo since Colophon (Luxembourg’s Magazine Symposium). Samir Husni: Are you planning to produce a print product to help sell the publications? 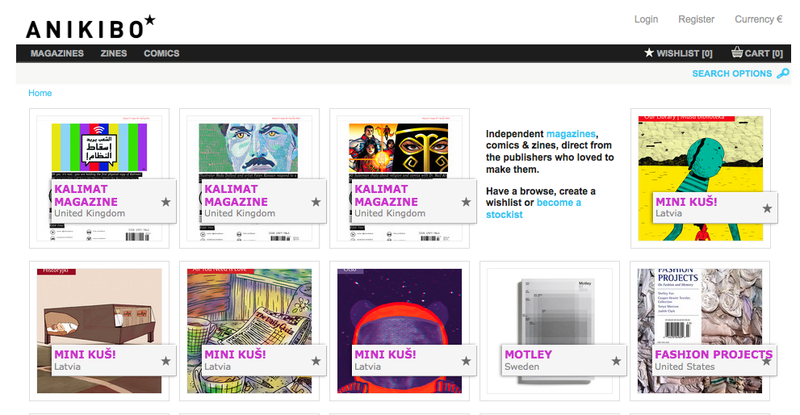 Or it is going to be only a digital platform to sell print? 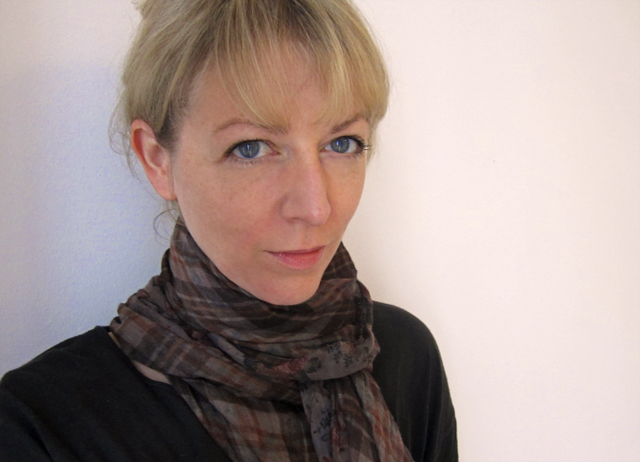 Deborah Causton: I studied graphic design, but have been very involved in tech for the last 12 years. One of the things that excite me most about this project is that I can combine my two passions. There are so many technological avenues to be explored – this will be my primary focus. As to whether I’ll actually print something from it, maybe eventually, but probably a magazine! Deborah Causton: The platform has already been set up to enable worldwide distribution. Any publisher from around the world is invited to stock at Anikibo, providing they meet the minimum criteria: they love to make! 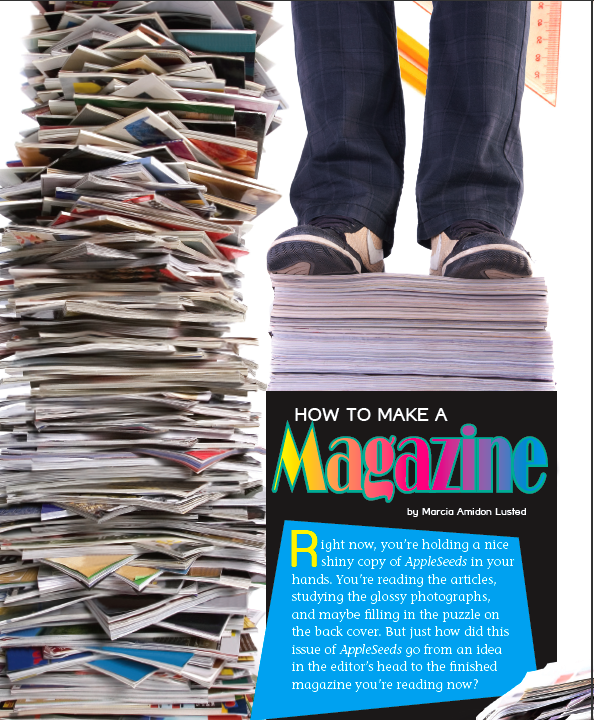 So you want to start a magazine? Believe it or not, even in a digital age, starting a magazine was, is and will continue to be a dream come true to many people of all ages. It is the first of three Fs that I believe every magazine person enjoys: Fun. A lot of fun. And, by the way if you want to know the other two Fs, here we go: Fame and Fortune. I fell in love with magazines at age 9 and I started my first magazine at age 11 or so. When the folks at AppleSeeds magazine asked me if I would be interested in being the consulting editor for their upcoming special issue on How to Make a Magazine, needless to say I jumped at the opportunity. The magazine, now in its 15th year of publishing, is getting ready to release its special issue on magazine making, answering the many requests of its readers who “Want to know how we do it?” The February issue of the magazine will start mailing this week. Once the magazine was put to bed, I reached out to Lou Waryncia, Editorial Director and Susan Buckley, Editor and asked them a few questions about the thinking behind doing a special issue of a children’s magazine on launching a magazine and about the future of printed magazines for kids in this digital age. 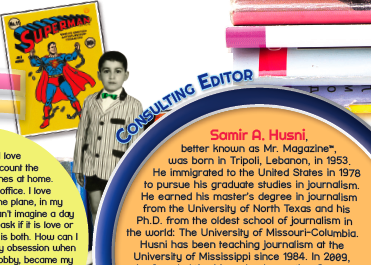 Samir Husni: Myth has it that kids don’t read anymore and yet you publish several kids magazines. What gives? Do you know something folks don’t know? Lou Waryncia: Kids do read….you just have to give them something that inspires them. And that’s what we try to do with all our various magazines. Our speciality is quality children’s content. We have a magazine for almost every interest. And we try to make it all fun, accessible, yet educational. Susan Buckley: We think kids especially like a magazine format with high interest articles about subjects that THEY like. Short articles are fun for kids–just enough information to tickle them into finding out more! Samir Husni: Not only do you publish kids’ magazines, but you are publishing a special issue of Appleseeds on starting magazines, why? Lou Waryncia: Our readers gave us the idea. One question we get over and over from kids is “How do you put a magazine together?” We answered that question by creating a whole magazine issue about magazines. We wanted to show kids all the many components of putting together a magazine—-the research, writing, editing, art, photography—the whole creative process. 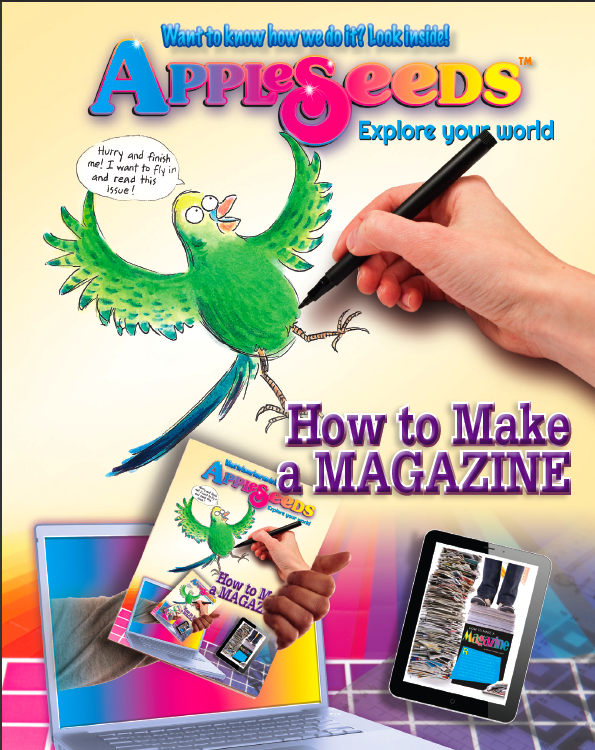 AppleSeeds’ tag line is “Explore Your World,” and we think the magazine topic will let kids explore all the most fascinating aspects of creating a publication and the communication process. Susan Buckley: We also knew this would be an opportunity to highlight the real people who make AppleSeeds happen every month, hoping that our readers will identify all of us as real people who have interesting jobs! We are especially delighted with the AppleSeeds Kids every month and wanted to highlight them and their talented creator, Annette Cate. Samir Husni: What is the future of the printed word in this digital age? Lou Waryncia: We believe in print. We believe in digital. AppleSeeds is available in both formats. We’re leaving it up to the reader to determine his or her format choice. Ultimately, we hope both formats will co-exist and provide us with a broader readership. Susan Buckley: Lou says it all. Samir Husni: What are YOUR plans for the future? Do you see a day where all the kids magazines will be digital only? Lou Waryncia: AppleSeeds just launched a PDF digital edition. A more interactive digital edition will launch later this year. It’s too early to tell how the digital versions will be received. There is interest in both formats. Right now, I don’t see a digital-only publication such as AppleSeeds. Susan Buckley: I love reading on my tablet, but I’m a real print person, so I hope we always have AppleSeeds in both digital and print. Samir Husni: Any additional comments you would like to add…. Susan Buckley: We hope this edition of AppleSeeds will be incredibly popular so that it will inspire our readers to create their own magazines–hoping they have as much fun doing it as we do! Thanks for your invaluable help, Mr. Magazine! To get your own copy of AppleSeeds, click here. Timeless Collectability will be the mantra for 2013. In the magazine world, 2012 brought about the death of two print weeklies (one originating in 2012 and the other from 1933), along with their less-than-promising resurrection online. It also redirected our insights to the value of diversity and print’s need to be a collectible force. To engage the magazine audience, one must be willing to go beyond the informative and straight to the incomparable. One must become the king’s ransom for readers and never relinquish that role. One must provide the timeliness and timelessness that only print, in its inexplicable way, can. And one must divert from, and direct to, the continuum that is digital. If this seems contradictory and impossible … read on and I’ll lead you into 2013’s glowing light surrounding the future of print. 1. 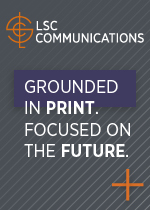 The future of print is becoming more a collector’s item than a disposable item. A magazine should possess some collectible value that offers something timely and timeless. 2. Think integrated print and digital. Your printed magazine has to keep the audience engaged, keep the advertiser engaged, perhaps through mobile linkage. 3. Killing a magazine in print, hoping it will survive on the web never worked, is not working and never will work. Once you are out of sight, you are out of mind. Even the “successes” in this case are a fraction of their print predecessors. 4. When someone tells you that print is dead or there’s no more room for magazines, give them $10 and send them to the nearest newsstand and ask them to buy a copy. Then let them judge for themselves whether there is room for more magazines or not. 5. Fear of failure and statistical analysis are the biggest reasons for doing nothing, in terms of launches, finding a new market, or creating a new brand. 6. As ever, remember that we are in the business of audience first, customers first. Not pixels on a screen … not ink on paper. Once you lose sight of the audience, you are headed for disaster. It’s simple: You need to offer the relevant message, via the relevant medium, to the relevant audience. 7. Invest in print, ink and paper. Feeling and touching are the first step to engaging with the experience. Cheap products mean cheap experience. 8. There is hope. More than 200 new titles were launched with a regular frequency in 2012 and more than 600 new titles as specials and annuals. 9. Like all creations, magazines have a time to be born and a time to die. No, not the demise of a genre of magazine; rather the loss of some titles and birth of others. 10. Unless your magazine content provides the readers with a “losing themselves and their sense of time” experience, you are better off killing the magazine. 11. It is time for someone to find a new name for all the digital stuff out there. As long as we refer to it as “replicas”, I know we are not there yet. When was the last time you called television, radio with pictures? 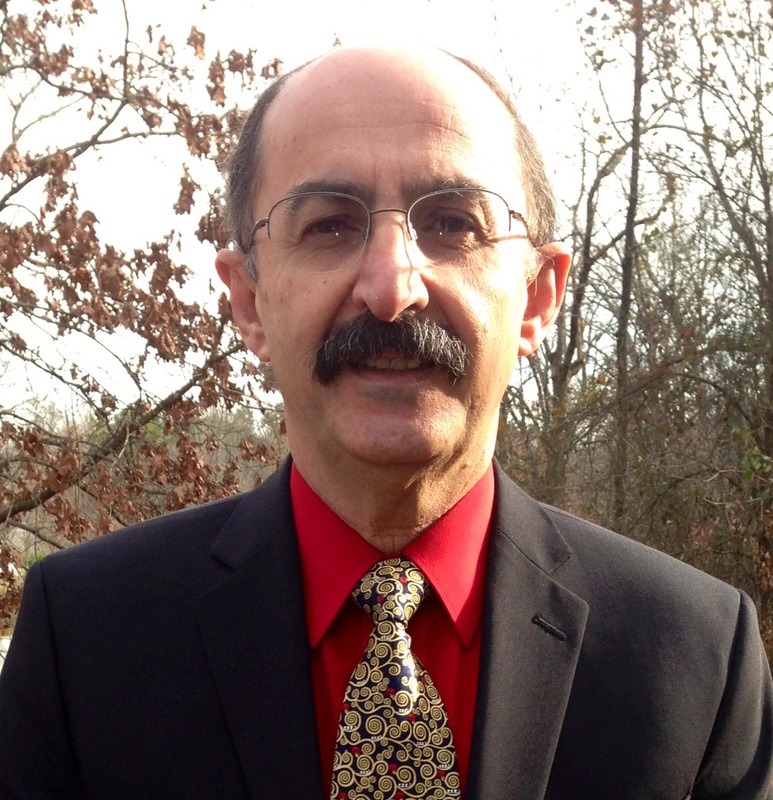 Samir Husni, Ph.D., is founder (2009) and director of the Magazine Innovation Center at the University of Mississippi’s Meek School of Journalism and New Media. The former Ole Miss journalism department chairman’s Mr. Magazine™ monicker comes from his tracking more than 20,000 launches since 1986, when his Guide to New Magazines debuted. The 28th edition of the Guide (Nautilus Publishing/Oxford, Miss.) will be released in April 2013. The Mr. Magazine™ Manifesto 2013 was published first in min Media Industry Newsletter on Jan. 7, 2013. You are currently browsing the Mr. Magazine blog archives for January, 2013.